Detoxing and juicing are all the rage right now. While I definitely haven't taken the juice diet plunge, I am absolutely smitten by green juices. But not just any green juice will do; I crave the Greengo juice by local Atlanta juice company, Press Together. I discovered Press Together a few weeks ago at my Pure Barre studio, and I've been hooked on their Greengo juice ever since. Made with greens but flavored with citrus and jalapeno, this juice acts like a snack and a reboot all at the same time. 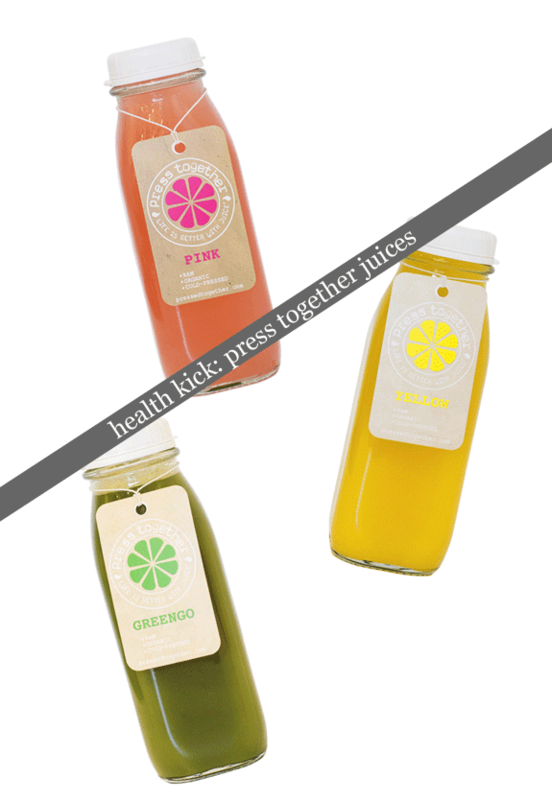 Press Together's juices run the gamut ranging from Yellow for Immune Boosting to Milk & Honey for Hydration (ie. hang-over helper). Aptly named simply by colors, these juices are available at locations in both Kennesaw & Buckhead, and one day I hope to give them all a try. Do you juice? Tell me your favorite kind!